This report analyzes the amount of space consumed by files of VMs on datastores and helps evaluate available datastore resources in the infrastructure. The Datastores with Most Free Space and Datastores with Least Free Space charts display top datastores with the smallest and the largest amount of used space. The Most Growing Datastores and Least Growing Datastores charts display top datastores with smallest and largest decrease in free space during the specified time period. 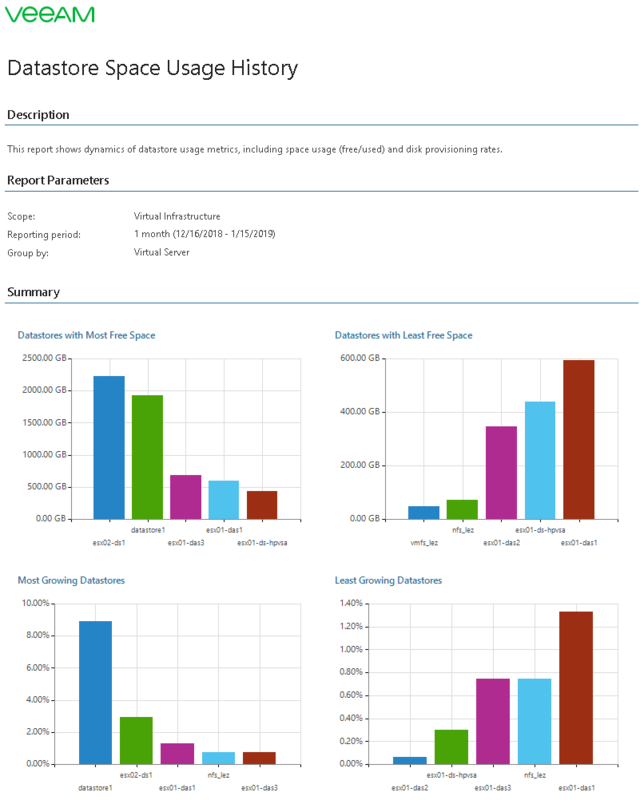 The Details table shows datastore space usage statistics and the total number of VMs residing on datastores. 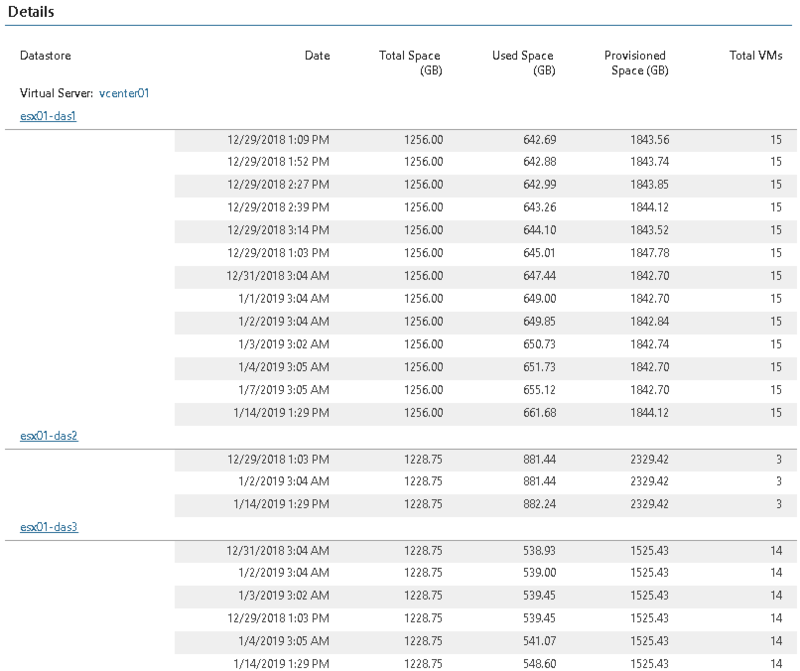 Click a datastore name to drill down to the Datastore Usage History chart that shows how the amount of free, used and provisioned space has been changing during the reporting period. The report helps you monitor storage capacities to ensure your VMs have sufficient room to operate. Business View objects: defines Veeam ONE Business View groups to analyze in the report. The parameter options are limited to objects of the Storage type. Interval/Period Start - Period End: defines the time period to analyze in the report. Note that the reporting period must include at least one data collection session for the selected scope. Otherwise, the report will contain no data. Group By: defines how data will be grouped in the report output (by vCenter Server or Datacenter).